His name is intimately associated with the Quiet Revolution. It is even said that he was its father and guide. As a young lawyer, he learned about politics from his boss, lawyer and House of Commons member Charles Gavan Power, nicknamed Chubby, a leading architect of the federal Liberal organization in Quebec. In the 1945 elections, he was elected Liberal Member of Parliament at age 33. 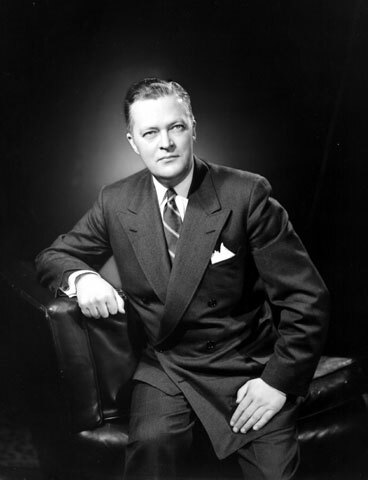 The charismatic and spirited Lesage was re-elected in 1949, 1953, 1957 and 1958. He was a parliamentary assistant prior to becoming Minister of Finance in 1953, making him the youngest member of the Cabinet. 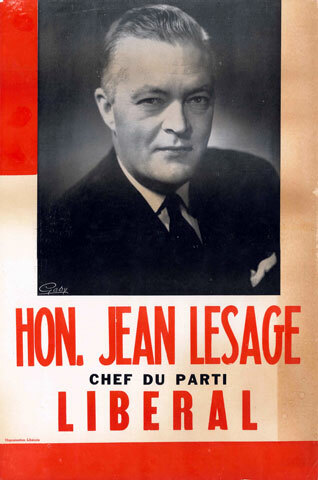 After the victory of John Diefenbaker's Conservatives in Ottawa in 1958, Lesage entered provincial politics and was named leader of the Liberal Party. Surrounded by men with new ideas such as René Lévesque, Paul Gérin-Lajoie and Georges-Émile Lapalme, the former Liberal Party leader, Jean Lesage promised to change Quebec and review the role of the State during the elections of 1960. Once in power, he kept his promise. In the early 1960s, Jean Lesage ushered in a new political style. He was a great speaker with a knack for getting messages across and, with the growing prominence of television, a fine craftsman of image. Although initially opposed to radical measures such as the creation of a Ministry of Education and the nationalization of electricity, once convinced of their merit he became their staunchest defender. Lesage repeated to Quebecers that the State belonged to them and that they had to use it as an instrument. In a way, one might affirm that Lesage invented the contemporary Quebec Government.